Buildings could soon be able to convert the sun's energy into electricity without the need for solar panels, thanks to new technology. According to the University of Exeter, a new technique has been developed that could accelerate the widespread introduction of net-zero energy buildings known as Building Integrated Photovoltaics or BIPV. A bit like Tesla’s solar tile, the panels, or glass blocks, can be incorporated into the structure of a building to collect solar energy and convert it to electricity. The blocks themselves are known as Solar Squared, and are designed to fit into new or existing buildings. 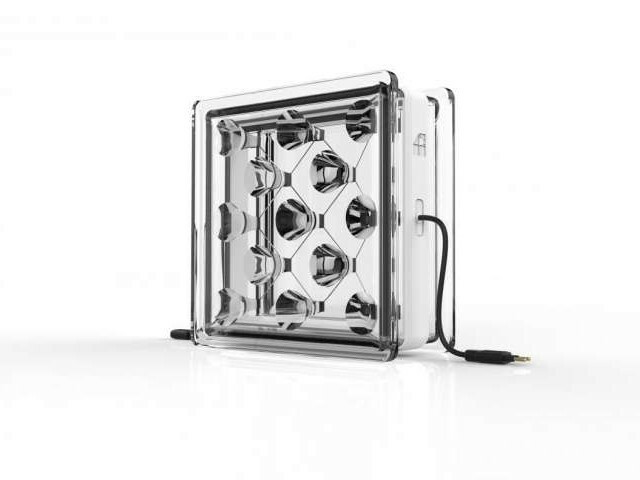 These Solar Squared blocks use intelligent optics that focus the sun’s rays onto small solar cells increasing the energy generated by each solar cell that is then used to power the building, to be stored in a battery or even for the charging of electric vehicles. While it is known that buildings consume more than forty percent of the electricity produced across the globe, this technology would enable electricity to be produced at the site of use and then be integrated straight into the building. The Exeter University team has created a start-up company called Build Solar to take this new technology to market in 2018. "We are aiming to build integrated, affordable, efficient and attractive solar technologies, which have the smallest impact on the local landscape. It's an exciting venture and one that should capture the imagination of the construction industry, when looking to develop new office blocks and public buildings or infrastructure projects such as train stations and car parks," says Professor Tapas Mallick, chief scientific advisor for Build Solar.